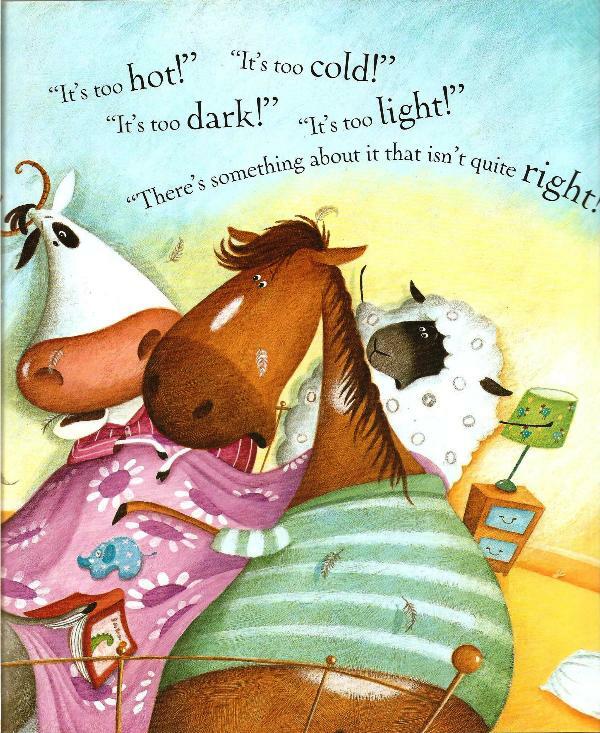 “This is the story of Suzy Sue, ready for bed, just like you.” This is A Bed Of Your Own by Mij Kelly and Mary McQuillan (Hodder, 2011), their third story about Suzy Sue, and how tricky it can be to go to sleep – especially when your bed is full of animals. 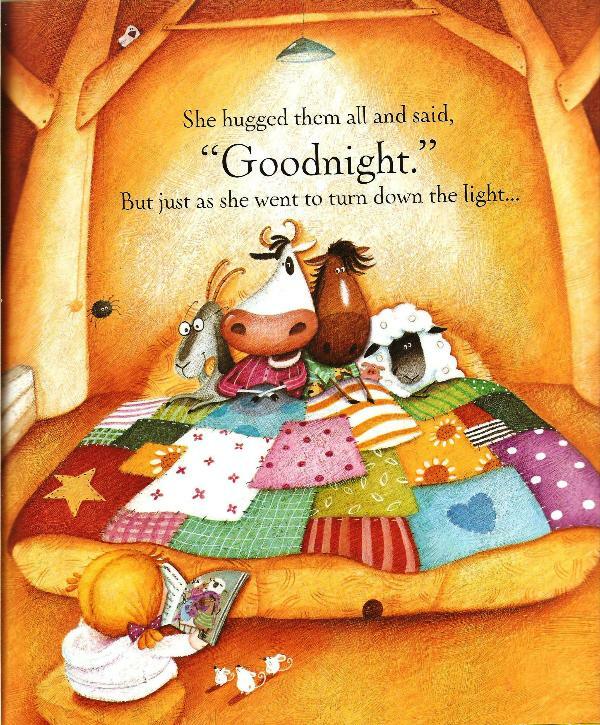 “She tucked them up, and then she read a book about going to bed.” As you can see above from the next page, the book in Suzy Sue’s hands looks as if it too might have been illustrated by Mary McQuillan. Here’s the proof.